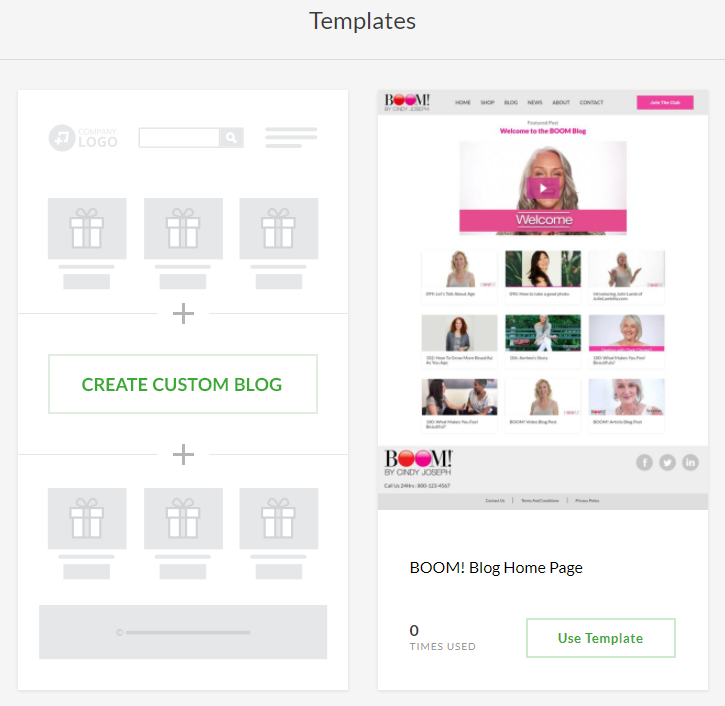 Learn how to create a Blog and add Blog Posts using all of the power of the Zipify Pages page editor! Blogging is a great way to build your audience and generate more traffic and sales for your business. This great new functionality allows you to create and manage your Blog and Blog Posts using the same set of awesome page blocks available for Pages. 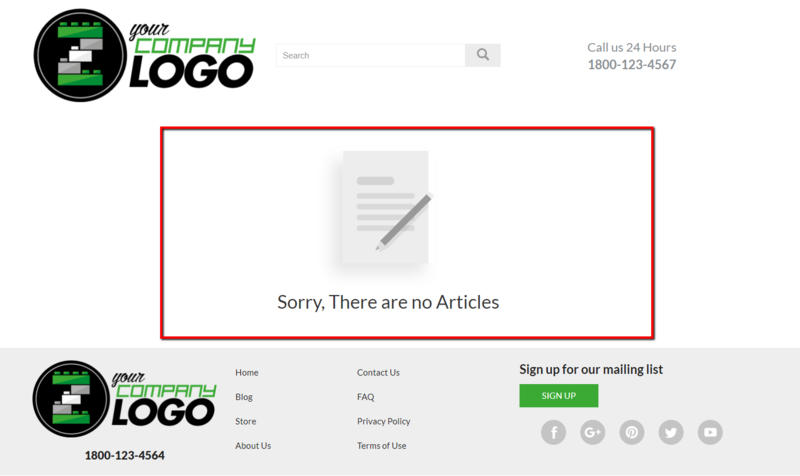 Note: The "Existing Block" functionality is not cross-compatible between Pages and Blog Posts I.e. you can only use the "existing block" feature between Pages or Blog Posts, but not between Pages and Blog Posts. The first thing you need to do is create the blog itself. Go to the “Blogs” section of the app and create your Blog’s homepage either using a predefined template (more to come soon!) or by creating the desired look from scratch. After you choose, you can then Name your blog. The overall process of building a Blog's homepage from page blocks is the same as for regular ZP pages. The only difference is a placeholder for Blog posts thumbnails (“Posts List” block). It can’t be removed from the Blog homepage completely or edited, but you can use the editor’s functionality to change it’s placement on the page. The side panel of the editor contains most of the same settings as for a regular ZP page as well, except the ability to show/hide info about the post’s author and the publish date. NOTE: If your Blog is published with no posts, it's homepage still shows a placeholder for the posts list. We recommend to publish your Blog only when you have at least one blog post added there. When you publish your Blog, it will be added to the Online Store -> Blog posts -> Manage blogs section of your Shopify admin. If you'd like to start using this new blog on your store, you will likely need to adjust your Navigation menu(s) at Online Store -> Navigation within your Shopify admin to point to the new ZP blog instead of your current one. Once your ZP Blog has been created, you can start creating Blog Posts. 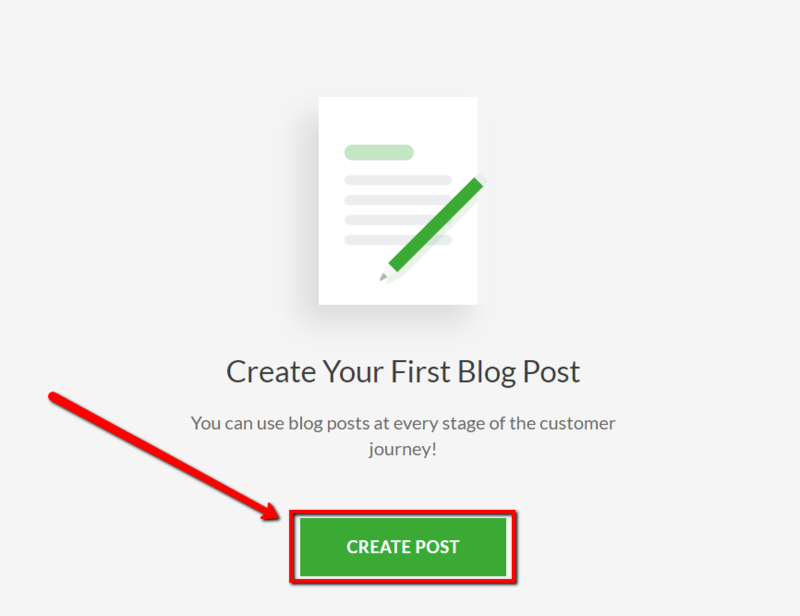 Start the blog post creation process by going to the posts dashboard in the Blog section and click on the “Create Post” button. 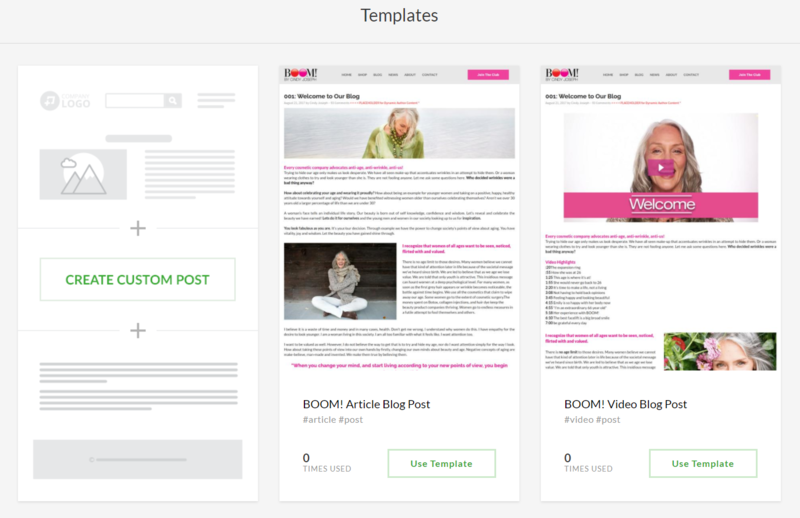 Next, choose an available blog post template to go with or choose to create a custom post from scratch. 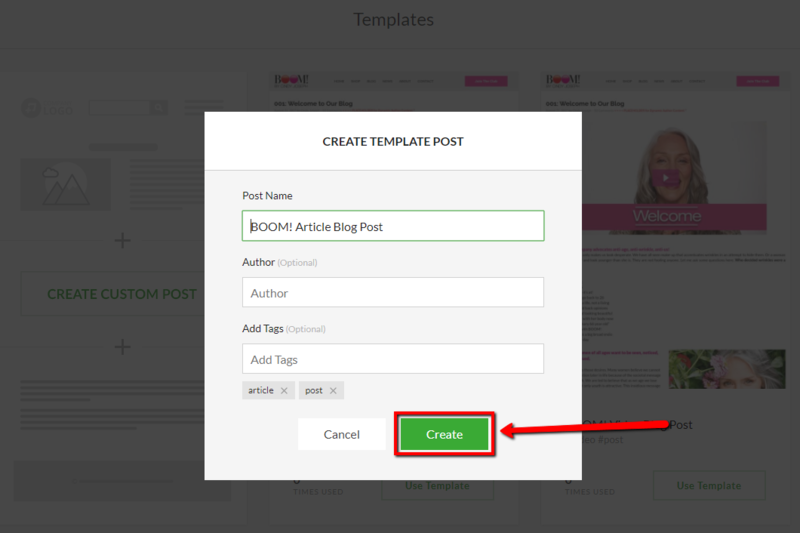 After you choose, the “Create Template Post” popup window will appear where you need to specify the post's title (note that your blog’s visitors will see that title on the Blog homepage). Optionally, you could set Tags for the post page and specify the Author’s name. NOTE: All of these fields are available for editing later in the page constructor. The page constructor’s side panel also contains a switcher to hide the post Author’s name. - “Specific” which allows you to set any desirable date (current or past) as the publish date. - “Hide” to remove the publish date from the post page altogether. Don’t forget to upload a post’s thumbnail image through the side panel. It will be used for the posts list on your Blog homepage. NOTE: The file size for a post thumbnail is limited to 1 MB. 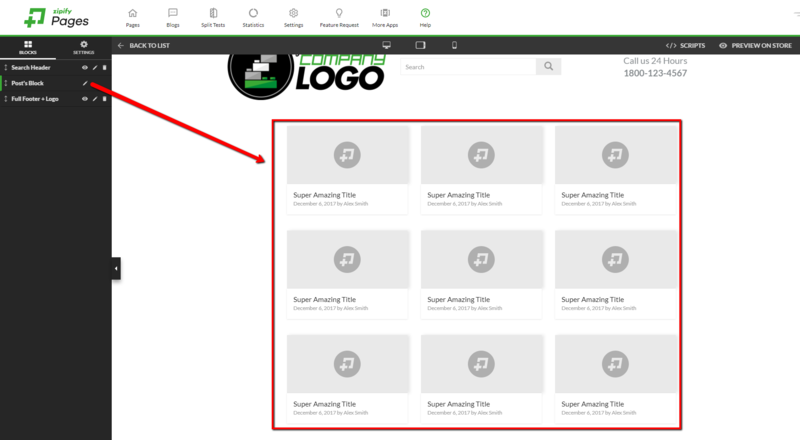 The recommended thumbnail image dimensions are 270 x 130 pixels. Once you're ready to Publish your Blog Post, click the drop-down arrow to the right of the Publish button to edit the blog post page's final details. 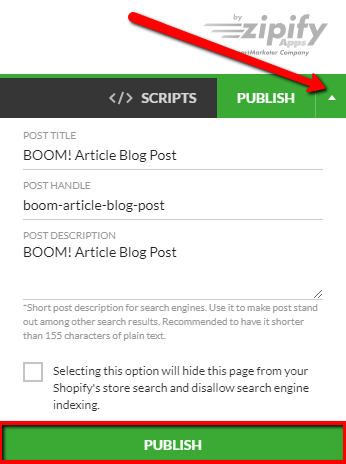 Then click the Publish button to publish the blog to the Online Store -> Blog posts section of your Shopify admin. 1. Set Global scripts through the Settings -> Blog scripts section of the ZP app to run added scripts on any/every Blog page. 2. Set local scripts to be used on an exact blog page using the </>Scripts section of the page constructor. Overall you’re working with scripts for Blog pages the same exact way as you do for regular ZP pages. The only difference is a separate section for Global Blog Scripts management. Anything else related to the building of your blog pages with the page constructor is the same as for regular ZP pages, so you can refer to the appropriate sections of this manual to find more information on blocks etc. NOTE: These snippets will not be overwritten/re-created when you disable/re-enable the ZP app in order to preserve any user code injections (if any is added). The only way to overwrite/re-create these snippets is to remove these files manually and then disable/re-enable ZP app.